One click way to call up the New Releases on Channeling from Barnes and Noble. Amazon Synopsis: Everyone alive today has the potential to become a clear and accurate Channel. Even You! Whether you want to be a vehicle of higher wisdom for all mankind, or want to fully connect with your spirit guides, Channeling is the ancient tool that makes it possible. Channeling: A Comprehensive and Instructional Guide, provides you with the tools you need to find a positive spirit partner, open a safe and protected Channeling relationship with your spirit partner, and practical instruction on how to Channel your spirit partner for yourself and for the world. This book is a must read for anyone who ever dreamed of tapping into the higher knowledge of the universal and heavenly forces. Amazon Synopsis: In this study of channeling, earlier called spirit communication or mediumship, Klimo, who teaches at Rosebridge Graduate School in the San Francisco Bay Area, writes with clarity about "the communication of information to or through a physically embodied human being from a source…on some other level or dimension of reality other than the physical as we know it." He profiles recent channels and their sources, goes back to preliterate societies and the advent of monotheism and identifies as channels such figures as Moses, Solomon, Muhammad, Merlin, Nostradamus, Swedenborg and Edgar Cayce. He discusses the sorts of people who are channels, kinds of information channeled, sources of information channeled and varieties of channeling like clairvoyance and automatic writing. According to Klimo, few people tap into their abilities to perform channeling and for those who think they can, he serves as guide. Amazon Synopsis: The best book on how to channel! Exercises based on material channeled from Lita's guides, Ortan and Shalaya show you how to shift awareness to an expanded state of consciousness. 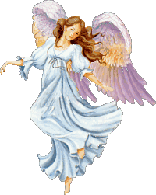 You will work with guides and angels to use psychic protection, receive help with health and past-life issues, and enhance confidence and creativity. Resource list. Bibliography. Index. Amazon Synopsis: Few expressions of New Age spirituality evoke greater skepticism and derision than does channeling, the practice of serving as a vessel for the voices of ancient or otherworldly beings. Channelers claim to be possessed by angels, aliens, and "ascended masters" who speak through them, offering advice and solace. Intellectuals dismiss them as cranks and charlatans; evangelical Christians accuse them of trafficking with Satanic forces. Meanwhile, the steady spread of channeling from the West Coast to the American heartland fuels the fear that the United States now confronts an epidemic of public irrationality. The Channeling Zone reveals that this controversial practice has deep roots in earlier forms of American spiritualism while manifesting the most current concerns and anxieties of American life at the end of the twentieth century. Basing his analysis on dozens of interviews with practicing channels and extensive participant-observation research in New Age workshops, Michael Brown takes readers into the world of those who find meaning and inspiration--and occasionally a lucrative career--in regular conversations with spectral beings. Drawing on his previous research among Amazonian Indians, he brings a historical and comparative perspective to the study of this flamboyant expression of contemporary spirituality. Neither a debunker nor an advocate, Brown weaves together the opinions and life stories of practicing channels and their clients to bring their world and its assumptions into higher relief. He describes the experiences that lead often highly educated, middle-class Americans to conclude that useful information is filtered through the spirit world. He pursues the nature of the quest--the fears, hopes, and expectations of the seekers--and finds its roots in traditional American notions of individualism and self-perfection. The Channeling Zone is a lively journey into the complex social world of the thousands of Americans who have abandoned mainstream religions in search of direct and improvisational contact with spiritual beings. Amazon Synopsis: What lies within the pages of this book is an extraordinary, yet uncomplicated way to learn how to hear your own personal messages from the guides in the spirit world. Orion is the loving and powerful guide who brings the gift of frequency onto every page and it is this key element that makes it possible to connect with your guides through the use of this remarkable book. Amazon Synopsis: For more than two decades, internationally renowned pioneer in energy medicine Caroline Myss has been studying how people use their personal power. Through her special brand of spiritual insight and intuition, her popular workshops, and her bestselling books, Myss has helped hundreds of thousands of people meet the lifelong challenge of managing their spiritual energy and improving their lives. Amazon Synopsis: The Jeshua Channelings are a series of spiritual messages about the birthing of Christ consciousness and the inner transformation from ego to heart. It is written for lightworkers who want to learn more about their identity and role on earth. Amazon Synopsis: Well endorsed, The Journey Within” states on the back cover, Your past-life memories are closer to you than you may realize,and many exciting discoveries are being made in the search for these timeless memories. One exiting discovery is coming from a unique form of hypnosis, regression, which is proving to be an excellent tool for uncovering past-life memories. This is the story of research hypnotist Henry Bolduc's twenty-five years of studying and practicing hypnosis. We get to share in the unfolding of a fascinating exploration into the human mind. A good portion of the book is devoted to the development of channeling in two individuals who were able to repeat the Cayce Effect”- channeling information as the great North American Mystic Edgar Cayce did. These sessions are documented with profound readings” as Edgar Cayce referred. Included are Channeling guidelines for those new to the concept. Amazon Synopsis: This reference explores Qabbalah, Sibyls, Fairies, Poltergeists; phenomena such as intuition and karma; objects useful in the attempt to cross the divide, including tarot cards, flower reading, and runes; and related practices such as Shamanism, transfiguration, meditation, and mesmerism. It covers the history of Spiritualism as well as offshoots such as Kardecism, channeling, fraud, psychic research, and possession; and also reports on investigations of contemporary manifestations. Publisher's Weekly: Ryerson, a California medium, or trance channeler, claims to be the outlet through which the following spirit-entities speak: John, an apostle of Jesus; Aton-Re, adviser to Egyptian pharaoh Akhnaton; a Haitian herbalist named Obadiah; Tom MacPherson, an Irish pickpocket from Shakespearean England; oriental teacher Japu; et al. Their voices, as recorded in this hodgepodge, sound remarkably alike as they expound on love, the soul, soul mates, the law of karma, achieving an androgynous personality, past lives and so forth. With an assist form freelancer Harolde, Ryerson, who figures prominently in Shirley MacLaine's books, describes the mechanics of mediumship and outlines a theory of mind that accentuates the superconscious. His informally presented philosophy is a smorgasbord that draws freely from such sources as Buddhism, Edgar Cayce, Jung, the legend of Atlantis and Judeo-Christian tradition. Amazon Description: Is it possible to consciously evoke the divine as a presence and resource in your life, anytime, anywhere? Not only is it possible, teaches Caroline Myss, but each of us is in fact a "channel for grace." Why? Because grace is something we all manifest in two profound ways: internally as divine guidance; and externally, as our expression of personal power. On Channeling Grace, the bestselling author of Anatomy of the Spirit presents a two-CD audio learning course to help listeners bring this dynamic force into their lives. On Part One, Myss explores why grace is especially relevant today, how to recognize it in our lives, and the requirements for intentionally contacting grace. On Part Two, she teaches a full set of guided visualizations for connecting with this spiritual resource to: - Receive direction for important life decisions - Understand the subtle nature of your field of grace - Invoke the divine to heal ourselves and others - Foster inspiration and creativity. "Grace is a profound force that is continually active in our lives through countless subtle and direct means," teaches Caroline Myss. "Once you grasp the gentle nature of grace, you can recognize its constant presence and influence in your life." Now, this internationally renowned speaker and energy medicine expert offers insights on this unspoken principle in her own life, one that is of utmost importance for anyone seeking continuous spiritual growth and transformation. Amazon Description: Fully explore the channeling experience with this bestselling classic and discover the new life that's waiting for you! Millions have turned to the teachings of Edgar Cayce, the most documented and accurate psychic in American history. Channeling the ideals of your Higher Self is the safest, most effective way to stimulate personal growth and tap into the ancient knowledge that we all possess. Cayce’s practical, easy-to-follow methods help us answer the questions, meet the challenges, and solve the problems we face every day.